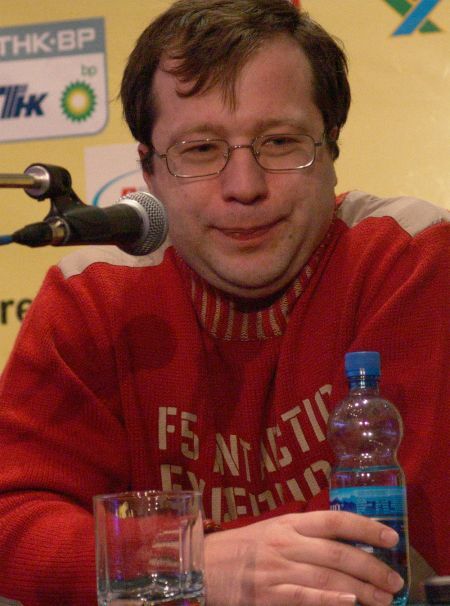 A will and a wish to win – those are main strong qualities of Alexei Dreev, which allowed him to break to the number of 16th best players at the World Cup. Being not in his best form, a many times Olympic champion of Russian team continues to fight and win his opponents, who don’t play the same strength. - Tell us about your fights in Khanty-Mansiysk. AD: In the first round my opponent was a Canadian chess player Charbonneau. It wasn’t hard to beat him; the scores were 2:0. The next match was much harder: I remembered Philippinian Paragua from last year knockout tournament, when he beat Bologan. Both first games finished with a draw. Then I lost first tie-break game. But I managed to win back and I finished our fight in blitz. We were playing at absolutely equal level. My opponent was really good. The third match against Harikrishna was easier. But the fight was also equal, I won in rapid. Then you know what happened with Gelfand: after two draws I lost playing with white, but I managed to win back playing with black. It seemed that I had a moral advantage, but I lost in blitz. A defeat from Malakhov is a sequence of my tireless. That was only one game, where I was playing bad. I noticed that then you are playing after tie-breaks it is not important how successful you were, the next match you will play worse. My defeat is an evident to this fact. - Have you ever been to Khanty-Mansiysk before, what are your impressions? AD: It is my first time here, but I participated in Poikovskiy several times, and it is not far from here. There are also excellent conditions, but a little bit different, and a city is different too. There we can see a tendency in having chess competitions; here it is just starting, but the level is very high. I will be glad if regular visits to Khanty-Mansiysk will become my habit. I am impressed by organization and the city! -Did you manage to walk in the city, see something? AD: No, I didn’t’t manage. I saw only center and some outskirts. It is no doubt there are something interesting to see, but not from the bus window. - You travel a lot. Can you name some remarkable places? AD: Don’t be offended, but I like hot places! My best performance I usually show in Spain, I play there very often. I noticed that my trips to the West are more successful then to the East, a difference in time in the West compare to Moscow is better for me. I remember then I totally lost at the tournament with East difference in time in 5 hours. Serious difference in time is very serious for me. And it is not only about me, just look at San Luis results! Only one man who was serious about adaptation process and physical training was Topalov, and he became a winner, his result in the first round is outstanding – he won 6 games! Veselin showed total advantage and it was an honor victory. He exceeded everybody in chess and mood. - And do you understand what have you won last time? AD: I won a World Team Championship playing for Russian team. And my personal achievement is a third place at last Super Final of Russian Championship after Kasparov and Grischuk. And also there was a victory at strong Major League in Saint-Petersburg. - When you dropped out of the Top 10 and lost your chance to participate in Candidates Matches, did you have an idea to save some strength for Russian Super Final 2005? AD: Before a quarterfinal round there was such idea, but it wasn’t my – to save some strength and do not play following matches for 5-8th and 13-16th places, but it wasn’t accepted. I don’t think it is a good system where there have to be all 16 places - when people don’t have a sport motivation it is hard to play for them. They should count it too. - What are your plans after Russian Super Final? AD: Yes, of course. Winners all have good nerves. You can say that about Aronian and Grischuk. It is besides that they are all great chess players. - Do you feel yourself old playing with guys who just turned 20? AD: The youth have some advantages, especially those guys… We often discus a theme that chess are becoming younger in Russia. But I talk only about the age, not about chess skills. For example Grischuk, he is young but he is a brilliant chess player. Other young chess players cannot reach his level. There is an interesting situation in Ukraine; there are a lot of talented chess players there now. We don’t have the same here, here who is talented is already admitted… As for me I am not exactly in the first flush, but I think it is worth to continue playing. It is very difficult, obscure question. - What is a meaning of time control at such tournament? AD: If you are not exactly in the first flush it is big importance for you. Everything is important in knockout – physical shape, psychological condition, home deals… Your result depends on many factors, plus on the fortune. 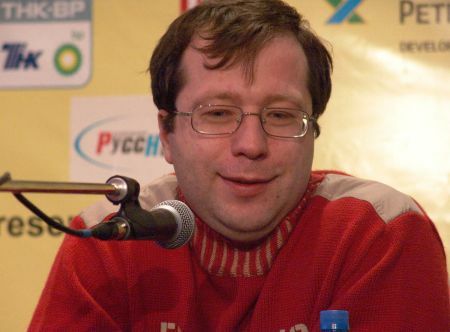 -Alexey, what way have changed chess in recent years? AD: They became more dynamic, when you talk about a time control – more intense. I don’t know whether it is bad or good. I remember Soviet tournaments, which lasted sometimes more than a month. I remember adjournment and night analysis… It is all impossible today. The life is accelerating, and chess accelerate with it. But to my mind there is nothing better than a classical control. - You are one of those who came here with a trainer. Tell us about him. AD: This is my old trainer. We have been working together since I was 15. He has a famous surname among local citizens, his name is Alexander Vasilievich Philipenko, and he is a namesake of your governor! I believe in signalment and I think this coincidence brought me some luck. In some case, it helped me that I was in a good shape, and managed to get far enough. I should say thank you to my trainer for some valuable advises in the opening. It is quite enough for knockout!